1413323154 -Get your life organized with the best workbook available! Securely store an unlimited number of passwords while keeping them handy. Decide whether you want to record your information electronically or by hand. Choose the way you want to organize your passwords―for example, alphabetically or by type of product or service. Easily add related notes, such as security questions. 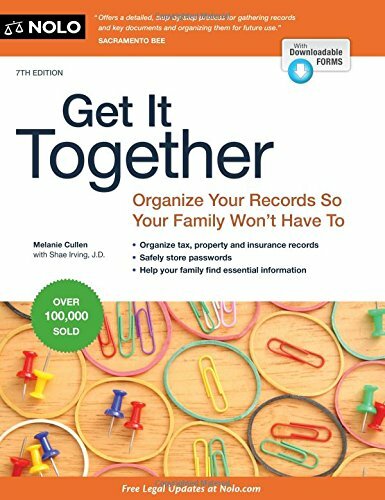 This workbook provides a complete system for structuring and organizing your information and documents into a records binder. For each topic, you will find helpful content, rich resources and step-by-step instructions. All forms are downloadable through a link printed in the book.